Physicist and researcher Jane Chandler is married to a writer named Matt. They have two kids together, Samantha and Jack. Together with his assistant, Regg, Jane are doing a lot of experiments, they are extremely interested in teleportation. But Matt loses his life in a car crash. A few weeks later, trying to recover from this tragedy, Jane is finding a ray of hope. 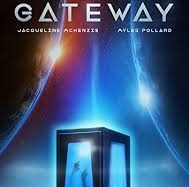 It uses a revolutionary teleportation machine and finds a way to travel while finding an alternative version of her husband. But it turns out to be another man.